What's It Like Being A Third Culture Woman In Singapore? These are the most common lines that have been blurted out to me by perplexed people once they find out I’m originally from Thailand. It can get a little frustrating at times when I have to explain my ethnicity to almost every new person I meet and have to prove my “Thai-ness” because apparently I don’t fit into the typical image they have in their mind. Standing at 1.72m with a golden brown tan, I am not your average petite fair-skinned cutesy Thai girl you usually see smiling coyly selling handmade trinkets​ or sweet ​cha yen (Thai milk tea) at a roadside stall during your family holiday to the Land of Smiles. No, I do not know how to do Muay Thai, no​r do I​ cook ​tom yum soup​ on a daily basis; and I am in no way related to Nang Naak. Just like how I don’t assume all my Chinese friends to be masters of kungfu; have the skills to cook Peking duck; or know Jackie Chan on a personal level. 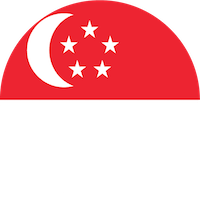 I have been living in Singapore for the past 20 years and am a born Muslim with a bit of Malay ancestry somewhere from my paternal side, and so I find that I identify as Malay here. This may be confusing to some because Thailand is a predominantly Buddhist country, and people also tend to get religion mixed up with race. So they will insist that I must either be 100% Malay, or am probably a convert. Brown On the Outside But White On the Inside? What confuses them even more is when they hear me speaking English with an American accent due to being educated at international schools since young. Some have actually assume​ d the accent is fake and I’m just acting ​atas (uppity), or perhaps am trying to snag an ​ang moh (Caucasian) boyfriend. It is not a pleasant experience to be questioned where I “picked up my accent from”, and stared at with narrowed eyes as I clumsily pepper my conversations with local lingo in an attempt to fit in with everyone else. I also try to intentionally tone down my accent at times or use my acting skills to (miserably) simulate a local accent instead when communicating with certain people, but am usually met with smug grins and raised eyebrows. I kind of regret taking French as a second language in school instead of Bahasa Melayu, because it would have made life so much easier for me growing up here when trying to blend in with my fellow brown-skinned​ counterparts without being accused of being ​sombong (arrogant), or a “coconut”​ - brown on the outside but white on the inside - who has forgotten her roots. But what exactly are my roots? How do I fit in to this melting pot of different races and backgrounds? Should I embrace my trace roots and get more in tune with the Malay community? Or do I continue to struggle to clutch at my dominant Thai heritage while living on foreign land? Perhaps one day I might be able to find a fine balance between the two worlds? But I am not Malay enough for Singapore, nor am I Thai enough for my homeland. So who am I and where do I truly belong? As a Third Culture Kid​ I struggle with my identity most of the time and have tried to comfort myself by finding the fun in being an ethnic chameleon. But it’s extremely rare for someone to correctly guess that I’m Thai and much to my frustration it also takes a bit of convincing before they actually believe me. As proud as I am to be Thai, I must admit it stings a little to feel a little left out standing at the sidelines watching my local friends immerse themselves in their language and culture while I awkwardly attempt to assimilate. It hurts to be poked fun at when I fail to understand or mispronounce certain Malay words or local slang. So please don’t laugh at me while I continue to explore part of my heritage by trying to improve my Bahasa Melayu and learn more about the Malay customs and culture. Excuse me while I overcompensate for my confused identity by making it a point to go to Golden Mile every other month to soak in the atmosphere and shop for Thai groceries there, listen to random Thai pop songs, use Thai pride hashtags on my Instagram posts, and enthusiastically chatter in broken Thai with my sister when we meet up. Don’t be quick to judge me when I speak or behave slightly differently from you and have negative assumptions. I am not being fake. I am not pretending to be someone I’m not. I am not a coconut. I am a siamese kitty in the lion city. I am just trying to figure out who I am.